Like the many unwinnable wars (Afghanistan, Iraq, Libya, Syria) started by two previous US presidents, president Trump’s war of his own choosing against China is also unwinnable not just because China is a formidable ally and has the capacity to retaliate massively, but also because China itself is too big a market for the US-based business and it can hurt the US without having to impose new tariffs. While by the end of 2017, the US investment in China totaled US$14 billion compared to China’s US$ 29 billion in the US, in terms of stocks however, US companies had “significantly more historical investment” in China, estimated at about US$256 billion, than Chinese firms had in the US, according to a report by the National Committee on United States-China Relations and Rhodium Group in April. And China imported some US$140 billion worth of US products last year, and it would have no compunction about putting different hurdles in the way of every US company, including the General Motors which has been outselling other motor companies like Honda, BMW and Mercedes Benz in China, operating in China. While there is no doubt that, as the US president’s various announcements tell us, the US can hurt as much as US$450 billion worth of Chinese goods, a number of US companies operating in China would equally start facing a crisis that, if the past is any guide to future, may eventually have to wrap things up. For instance, in 2016, when the Philippines decided to take the case of South China Sea Islands to the Hague for arbitration, China did retaliate in an unprovoked manner by simply issuing a notice of non-compliance on Philippine bananas, saying that they had detected a pest called Dysmicoccus neobrevipes in a shipment to Shenzhen, a major entry point for Philippine bananas to China. The Philippines exported nearly 450,000 tonnes of bananas to China in 2016 worth US$157.5 million. After the incident, China destroyed 35 tonnes of bananas and suspended 27 exporters. Such an incident had also occurred in 2012 when a standoff took place between China and Philippines over the Scarborough Shoals, which began on April 8 when the Philippines sent its navy to confront Chinese vessels fishing in the area, forcing China into taking measures that hit the Philippines economy by slowing down its inceptions of imports from the Philippines such as papayas, mangoes, coconuts and pineapples, thus forcing the Philippine authorities to search for other markets in the Middle East and other regions. As far as the US is concerned, its trade war with China will hurt a lot private US business companies operating in China. While US tariff would hurt Chinese companies as well, these companies are state-owned and are unlikely to put pressure on their government to end the war. As of 2018, McDonalds has about 2500 outlets in China. Currently it is planning to increase the number of outlets to 4500 by 2022. Starbuck is also opening a new outlet in China every 15 hours and expecting to add more 2,000 more by 2021. If this trade war gets serious and both sides start retaliating, both of these companies may have to revisit their plans. 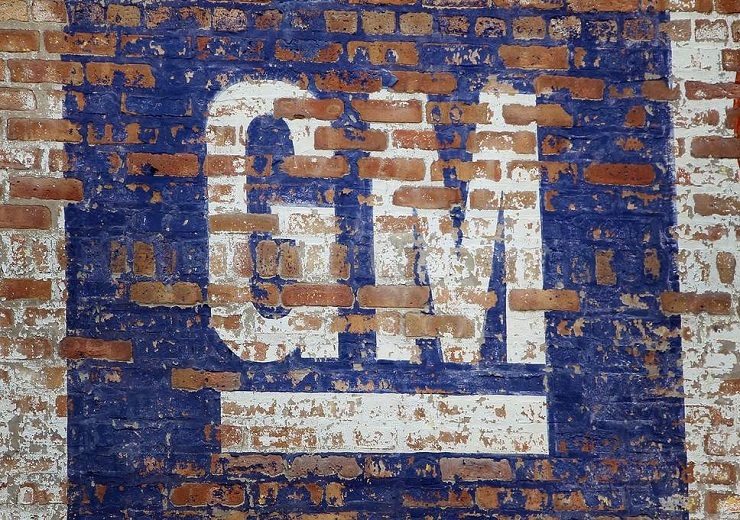 The General Motors, which delivered more than 1.1 million vehicles to China in 2016 as compared to the 202000 it delivered in the US, would also have to do the same and look for other markets as well. Reportedly, other US-based companies such as Apple are already starting to feel the pressure and Apple’s Tim Cook told Trump in April that trade war with China, where Apple has 41 stores (most in a single region outside the US) and where its sales have already declined, wasn’t a good thing. One crucial factor that is going to hurt the US more is that its tariff policy is not going to hurt China alone. On the one hand, these tariffs will hurt its economic relations with other countries, and on the other, any decline in Chinese exports to the US will leave a major impact on a number of Asian economies, which act as a supplier of products, such as smart-phone chips, to China which China uses to produce things that it exports to the US. The US imposed tariffs have already started another trade-war between the US and its erstwhile ally in Asia, India. When Trump recently mentioned India at G7 and threatened additional tariff, Delhi was not amused. Now India says it is planning to raise customs duty by 50 percent on a revised list of 30 US products including motorbikes, lentils and some steel goods. India has also decided to increase import duties to counter the impact of higher US tariffs on certain steel and aluminium products which would have implications of around $240 million on India. This economic tension has already led China to forge better ties with India in a way that might enable both of these countries to counter the trade challenge thrown by Trump. Ahead of Modi-Xi summit in April, Chinese foreign ministry spokesperson said that “the world is now faced with rampant unilateralism as well as the rising protectionism in the process of globalisation. All these trends have been closely followed and debated.” “So against such backdrop, China and India have a lot to discuss. We are newly emerging markets as well as developing countries with big populations, so we believe the two countries will continue to uphold the globalisation so that it is more inclusive”, Lu added further. In a way, this trade war has largely helped India and China to submerge the Doklam standoff and re-configure their relations in the changing global economic context. The US, therefore, is unwittingly driving a country away from its axis that it not so long ago was courting as its bulwark against China in Asia for the next 100 years, but now has been forced to postpone its 2+2 strategic dialogue, an outcome of strained economic relations. There is, therefore, every likelihood of the US imposed trade war backfiring on the US itself not just in economic terms, but also in geo-strategic, giving the US enough reasons to review its ‘war strategy’ and equally giving reasons to the president Trump to revisit his stance to avoid ending up as yet another president failing to win yet another self-imposed war.